At Second City Stationery, we handcraft a wide variety of paper products to help you celebrate your wedding. 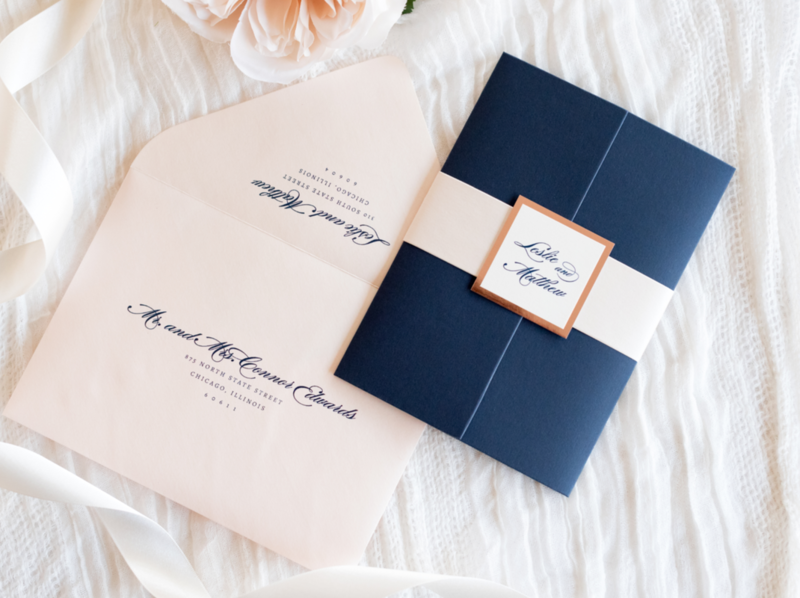 However, in our opinion, the most important piece of stationery you'll need is none other than your wedding invitation. 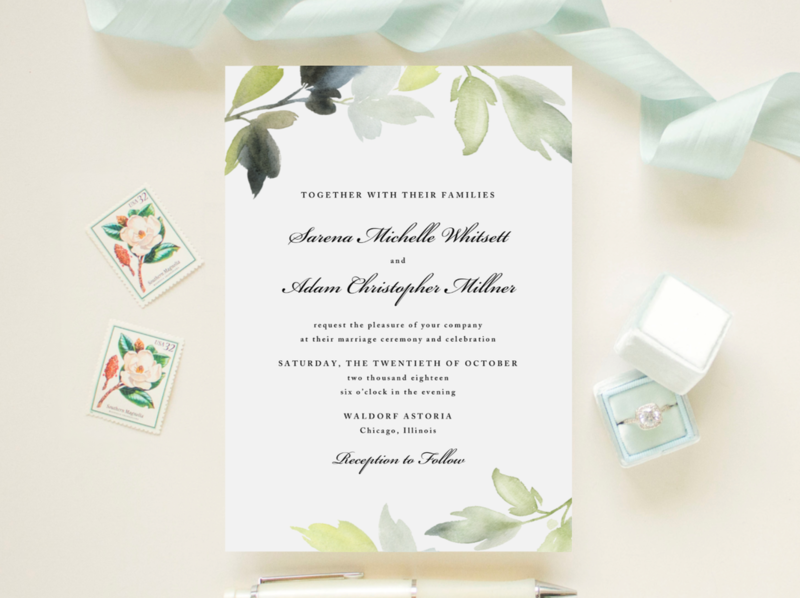 Your invitations not only provide guests with the basic and necessary information they'll need in order to celebrate with you, but more importantly, your invitation will be an introduction and set the tone for your big day. Our goal is to create an invitation so beautiful and unique that many of your guests will hold onto it as a treasured keepsake. We currently offer two different collections of ready-made and semi-custom wedding invitations. Are you already in love with one of our current designs and just want to make some minor changes? The ready made option might be exactly what you need. You'll make a deposit through our shop, fill out the invitation questionnaire form, and then start checking other items off your wedding to-do list while we ready your first draft. Once we receive your final approval and your remaining balance has been paid, everything is sent off to print. Have you scoured Pinterest, Google, and endless wedding magazines but just can't seem to find what you are looking for? Don't worry! We offer completely custom stationery built from scratch, and we'll work together to handcraft something you'll love and cherish for years. Everything is unique, everything is original. You provide us with inspiration, and we will work with you to create your the wedding stationery of your dreams. To get started, take a look at our Getting Started Guide then get in touch with us by giving us a call (this is the best way to get a hold of us) or by sending us an email. In the meantime, we recommend viewing our Ready-Made Collections to help you get a feel for our work.